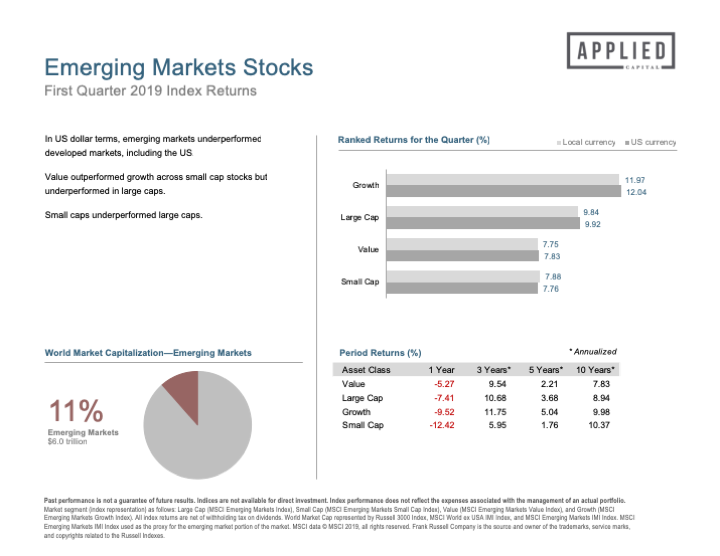 The 2019 1st Quarter Market Review is out! This report features world capital market performance and a timeline of events for the last quarter. It begins with a global overview, then features the returns of stock and bond asset classes in the US and international markets. Also included are the returns of select countries as well as the performance of globally diversified portfolios. Click the link to read the full version. Click the link to read the full version.